Hello! My name is Kozue. This is the blog of Tokyo Direct Guide, the Quickest & All-In-One travel guide website for international travelers that I started up. I was born and grew up in Tokyo, which is a busy, fast-growing, stimulating, modern and fascinating city with a long history, located in the very east of Asia. When I went long-term traveling in Australia, I met so many interesting people – both locals and “travelers” from all over the world. 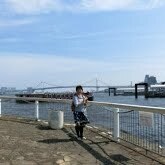 When I returned home, I realized that Tokyo did not have much travel information for international visitors. I also found Tokyo as a very big city – There are massive shopping districts full of interesting products, beautiful nature, trend-leading pop culture, old and quiet gardens, exciting and crazily crowded events, cozy cafes, etc, and you can choose things you seek. But compared with other countries, I did not find any appropriate leaflets, websites, and maps provided by Tokyo City. For example, I didn’t find a very good leaflet of Tokyo sightseeing guide at Narita International Airport. There do exist tourist information centers, but they are small and not prominent. I searched “tokyo events” on weekends, in vain. Google found no good sites. More importantly, “good hotels” depend on each traveler’s purpose in Tokyo – I have a lot of advice in my mind! The government finally started to establish better environments for international visitors to boost tourism, but still, Japanese people are too shy to get used to welcoming new people. What a huge loss! Tokyo has a lot of things to do & see at every moment, and travelers miss them! With my experience as an “international traveler,” I decided to establish a friendly and well-organized travel guide website. I pick up the features for you who are visiting TDG for the first time. All the Essentials, All the Attractions – TDG is very practical because it is written from the viewpoint of travelers, not travel industry workers nor government’s tourism bureaus. And not just practical. I write sightseeing guides that are exciting to read. You’ll never miss anything to travel in Tokyo! The Easiest Maps & The Quickest Hotel Booking – Many international travelers say it is very challenging to plan a trip to Tokyo because this massive city is so complicated. I started to TDG to solve this problem. You can find a hotel that really suits you. You’ll never get lost in the maze of trains as former travelers did! Completely Free & Secure – All the contents are free to read and use. No registration, no “premium membership” to pay. You don’t need to send your personal information to TDG at all. Hotel links lead to Booking.com, one of world-leading hotel booking site which has been offering perfect security and best prices. Insider’s Travel Tips Available Only on Tokyo Direct Guide – I wrote the articles simply as a Tokyo local. The contents are highly originated and you’ll never find similar things anywhere on the web. Tokyo Direct Guide is completely independent from travel agencies looking for customers and government’s offices promoting tourism, which enables me to make such a unique site. I’ve received many thanks from real travelers who traveled with TDG! Tokyo Direct Guide is all-in-one for travelers without any excess; You can get any information you want (based on things I needed when I was an international traveler) but I avoid making it massive and confusing. That’s why this blog exists! I update videos, photos which are beautiful but minor, delicious food photos and the live information here. I meant to establish just a satellite blog when I was planning my project. But after I really started it, I found blogging was so fun and rewarding. I wanted to stand out, express more of myself, and become friends with more people in the world! So I have some posts on this blog other than travel information, festivals and culture of Tokyo. Especially, Monthly Kawaii Character News is about Japanese pop culture such as Pokemon, Rilakkuma, Tamagotchi, and so on, so fans from all over the world are following TDD! I have been trying to make TDD more interesting, attractive and enjoyable. I’m so happy if you share good feelings with me. I hope to become friends with new people all over the world, and at the same time, to make Tokyo Direct Diary a fantastic community where you enjoy meeting friends. I like to get some comments on my posts very much, so please feel free to leave a comment on this blog. Just a short comment is as fine as long ones of your feelings and ideas. I welcome comments on old posts, too. Tumblr – this is a social channel for pop culture. This blog is home and these social accounts are relatively new, but you can contact me on them as well. Follow me! Thank you very much for reading and enjoy Tokyo Direct Diary!